Fuel sources are a hot topic at the moment, with so much choice and so many opinions as to which is the best option. Although it is obvious that each has its particular advantages, the benefits of using LPG make it an increasingly popular choice and one we should look out for in the coming years. The many advantages of mains gas cooking are well known and huge numbers of people choose to use gas as their main cooking fuel. An instant, easily controllable heat source, efficient cooking with great baking and roasting capabilities (for those crusts and skins), clean burning with no residue or taste left on your food but that which nature intended. It is also handy to have a source of heating and cooking should the local electricity source suffer power cuts. LPG has all of these benefits as well as having its own advantages. It is an economical way to cook, as is mains gas, for instance. Reliable, affordable and easy to adjust for the most particular of dishes. For that reason many countries prefer it over electricity for many household fuel needs. It is also extremely portable and is popularly used in outdoor cooking on gas barbecues or on camping stoves. 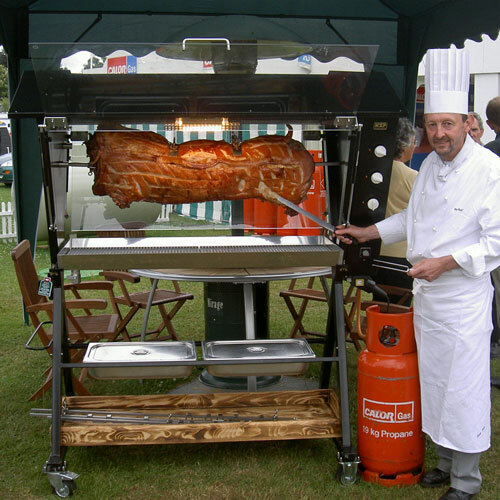 Modern gas barbecues are surprisingly versatile, too, with grilling, roasting, steaming and even cake baking capabilities. LPG cars, also known as ‘autogas’ cars, is a popular fuel for those looking for a greener vehicle; the third most popular world wide, in fact. It produces around about 35% less CO2 than petrol does, which makes a considerable difference to the environment since car trips, especially short ones, create much of the man-made carbon dioxide released into the atmosphere. Aside from the very large environmental benefits, LPG cars are quieter on the road (reducing noise pollution and making for a more pleasant journey). LPG improves engine performance, since it reaches through the engine as a gas which means better combustion and it extends the engine life too, since it doesn’t leave deposits around the mechanics as other fuel sources do. It is also a deterrent for thieves, being incredibly hard to steal LPG, unlike petrol or diesel, since the LPG isn’t situated in a gas cylinder that could be easily removed but in a tank within the car. LPG is cleaner burning than other fuel sources, such as oil or coal for instance. It doesn’t contain lead, doesn’t smoke and doesn’t produce nasty side chemicals. If it does happen to spill, which is less likely than with other fuel sources, it evaporates, so it isn’t hanging around hurting the wildlife and environment that happen to be nearby. This means not only is the immediate area less full of smells and fumes, but the environment is protected, too. It is really easy to combine LPG with renewable energy sources, too, perhaps using a gas cylinder alongside another fuel where a renewable source alone can’t quite do the job (yet), which helps the planet even more. Alice Aires regularly about home efficiency for a variety of lifestyle blogs and websites. She found the Calor Gas Limited website useful whilst writing this piece. In her spare time she loves camping and reading, preferably at the same time.